Birth Announcements …, a photo by barbourians on Flickr. 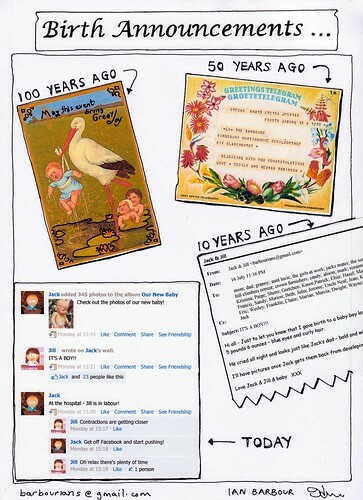 Facebook has so much including changed how birth announcements are done today. 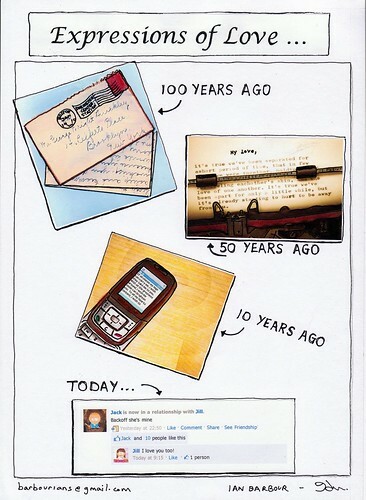 Doesn’t anybody send cards anymore? Expressions of Love …, a photo by barbourians on Flickr. My drawing to express my thoughts about how Facebook has changed everything – including how kids today express their love for each other. Doesn’t anybody write letters any more?